Michelle has worked in the film and television industry for the last eighteen years. She has produced two feature films, short films, television and a feature documentary. Her first feature film Stickmen (2001) was produced in New Zealand and directed by Hamish Rothwell. It went on to box office success in New Zealand and has sold worldwide. Bollywood Queen was her second feature as Co-Producer, shot in London’s East End it was in official selection at Sundance (2003). She has produced two short films in the UK. The first short The Unicyclist was shot in Spain. The second short Paris Brixton was shot in London. Both shorts screened in various festivals around the world including the New Zealand Film Festival. Her third short Shadow Over the Sun was completed in New Zealand in 2006 and has had various successes with festivals around the world including San Tropez, Palm Beach and Shanghai Film Festival. In New Zealand during the 90’s she worked as crew in locations and production on various TV dramas, features and documentaries. These included being Line Producer on the short film Valley of the Stereos, Executive Produced by Peter Jackson, Production Co-ordinator on the feature film Ruby & Rata and the TV series Bread & Roses, working with Producer Robin Laing. She was Production Co-ordinator on Peter Jackson’s cult classic film Braindead of which she also had a small cameo role. She was the Production Co-ordinator for the Fiji unit of Dreamworks film Castaway starring Tom Hanks. In 2004 she produced the feature length documentary Children of the Migration. This was in the NZ Film Festival and then screened on TVNZ. It has screened at the Real Life Film Festival in Melbourne and the Tahiti Film Festival. It also screened at the DocNZ Festival where it won a Special Merit Award. In 2005/2006 she was Co-Producer on a period drama TV series The Lost Children. In 2007 she was Production Manager at Weta Workshop for James Cameron’s film Avatar. She then went on to Production Manage the feature film Show of Hands and in 2008 was Production Manager of the feature film Home By Christmas. Last year she completed the feature film Predicament as UPM. 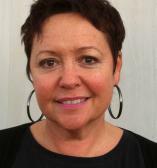 She worked for several years during the 90’s as Sales Assistant for the NZ Film Commission at the Cannes Film Festival. She served for two years on the AFTA board (Academy of Film & Television Awards) and then completed a two year term as President of WIFT (Women in Film & Television) Wellington. She is currently a trustee for the NZ Film School. She is currently in development on several feature films and a documentary. One of the features Little Dragon, was the first New Zealand script to be selected for the Pitch & Catch Competition at the Shanghai Film Festival.